The Website Accessibility Metrics symposium brings together researchers and practitioners to scope the extent and magnitude of existing website accessibility metrics, and to develop a roadmap for future research and development in the field. Details are in the Background and Objectives. All 50 places on the symposium conference call where taken within 48h off its announcement, but fortunately there was a live transcription service and all of the slides and extended abstracts are online and openly available. Now, the results of this symposium will not just be lost, but will be captured as part of a W3C Note (reference-able) edited by Giorgio Brajnik, Markel Vigo, and Joshue O’Connor. It will then be available online as part of the W3C’s permanent archive, and will be circulated to interested W3C Working Groups. As Chair of the RDWG, I feel very proud of the effort put in by Giorgio, Markel, and Joshue as well as our W3C liaison Shadi Abou-Zara and the core RDWG members. Now, we are just about to decide on our next topic – why not join us? If you do not have a W3C Access Account login and password, complete the Member Account Request Form. You should receive your W3C login name and password within 2 business days. Select you as a participant in the Working Group by completing the Joining the RDWG WG Form. Fill out the Working Group Nomination Form, which includes completing an intellectual property rights (IPR) declaration for your organization. You will be notified when these forms are processed and you are added to the RDWG mailing list. If you do not work for a W3C Member organization and you think that you have the expertise and availability to participate, you may apply to become an Invited Expert. Note that the RDWG is a public Working Group and participation in it does not give you access to information that is W3C Member-confidential. If you do not have a W3C Access Account login and password, complete the Public Account Request Form. You should receive your W3C login name and password within 2 business days. 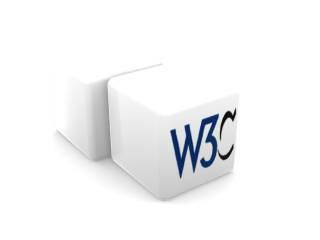 If you do not recieve a reply within 10 days, contact the W3C Team contact for RDWG, Shadi Abou-Zahra.